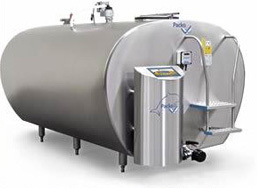 Effective bulk tank cleaning is another essential element of dairy hygiene and clean milk production. 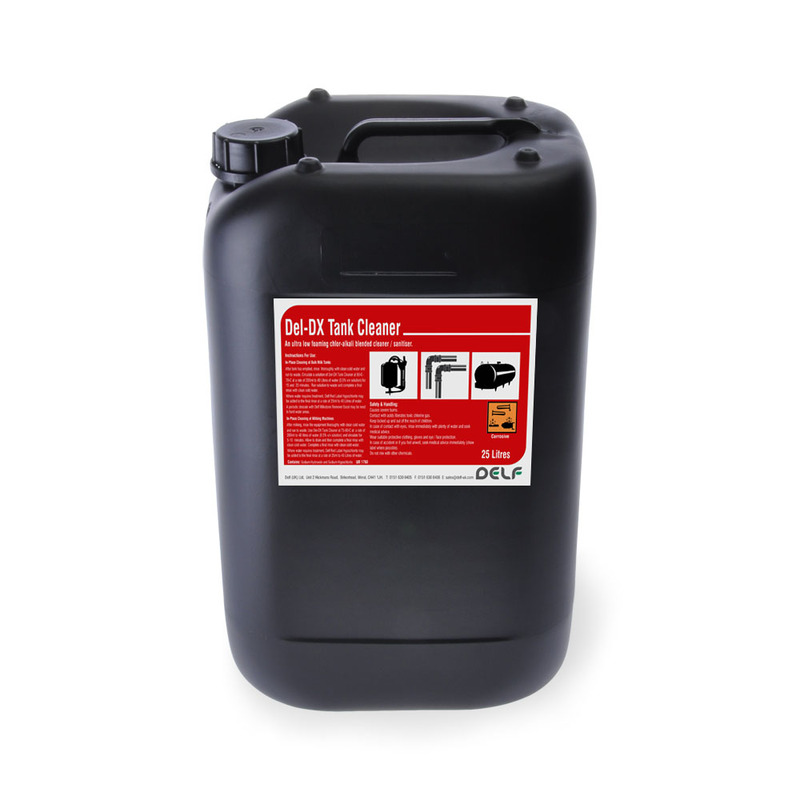 Delf’s range of dairy chemicals includes Del- DX tank cleaner for the effective cleaning of direct expansion tanks using automatic wash systems. A strong chlorinated caustic detergent disinfectant with superior clean properties for effective cleaning of direct expansion milk tanks. Very low foam. 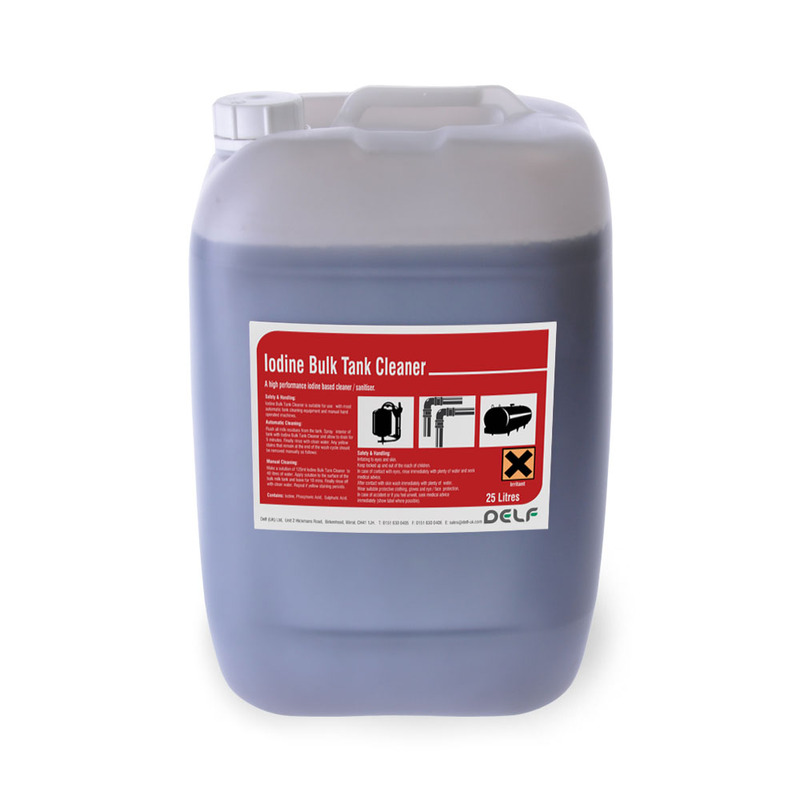 A high performance acid based cleaner/descaler/sanitiser for cold water cleaning of ice bank bulk milk tanks. 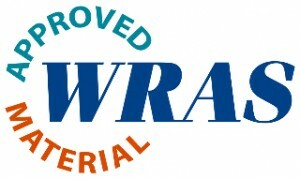 Particularly suited to automatic tank washing operations and CIP uses due to low foaming characteristics. A bactericidal acidic liquid detergent sanitiser for automatic cleaning of bulk tanks. The high acid content of this product aids in the prevention of Milkstone. Contains Iodine. 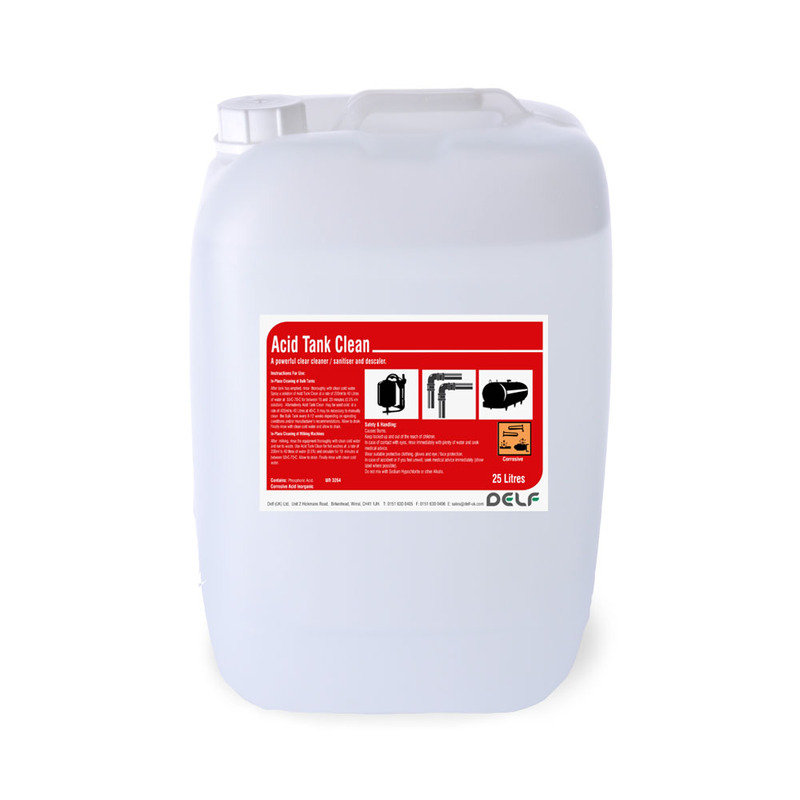 For manual cleaning and disinfection of surfaces, including bulk tanks. A free-flowing pink powder.